Karen Chen (USA) has withdrawn from Rostelecom Cup (source). Yuna Shiraiwa (JPN) has been assigned to Rostelecom Cup following Wakaba Higuchi (JPN)’s withdrawal due to ankle injury (source). Andrew Torgashev (USA) has withdrawn from the Junior Grand Prix Final. He will be replaced by first alternate, Stephen Gogolev (CAN) (source). Entries for the CS Golden Spin of Zagreb are now available. Notable entries include Alexei Bychenko, Jason Brown, Deniss Vasilijevs, Anna Pogorilaya, Anastasiia Gubanova, Mariah Bell and Bradie Tennell (source). 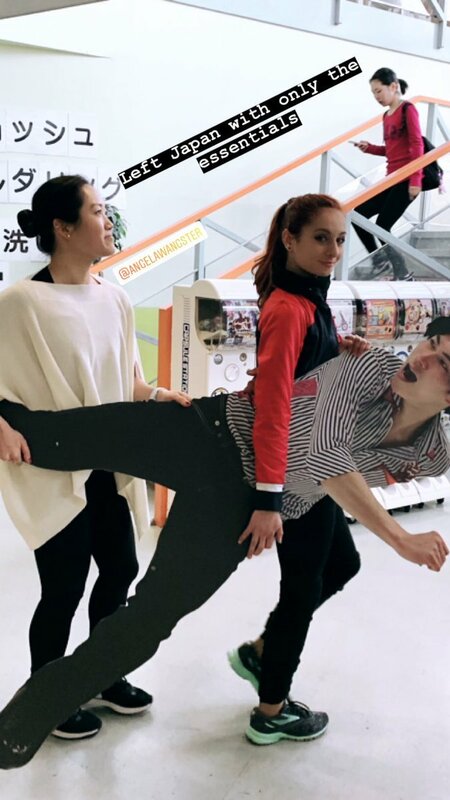 The fourth stop in the 2018-19 ISU Grand Prix of Figure Skating was in Hiroshima, Japan. To see the standings of the Grand Prix Series, including first qualifiers for the Grand Prix Final, please visit the ISU’s website. Kihira is the first to land a 3A3T combination in a Senior Ladies competitive program. USA’s first out female figure skater, Katrina Mantra (USA) gave an interview with Advocate about coming out, her personal life and skating (source).